The staff at Kyneton District Health provide our community with safe, high quality, person-centred care… and we think it’s about time we introduce you to some of them! Under the banner “Meet the Team Monday”, we will featuring some of our enthusiastic and dedicated staff who work hard to look after our community. First up – Physio Seon Carswell. Seon joined KDH late last year as our in-house Physiotherapist. She comes with more than 10 years experience and has spent the las…t 3 years working in the Macedon Ranges at the BUPA Residential Aged Care Homes in Woodend and Kyneton, where she continues to support residents twice a week. 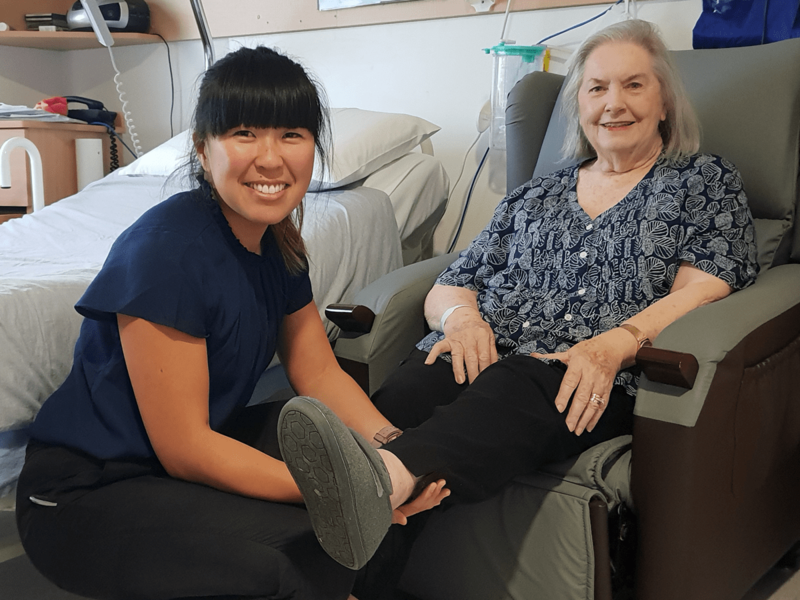 Seon works three day a week at KDH and can primarily be found on the Acute Ward working with inpatients and TCP (Transitional Care Program) clients. She also looks the manual handling training for our staff and is working with colleagues across the organisation to introduce a new “End PJ Paralysis” project. For more information or to get in touch with Seon, call Kyneton District Health on 5422 9900.